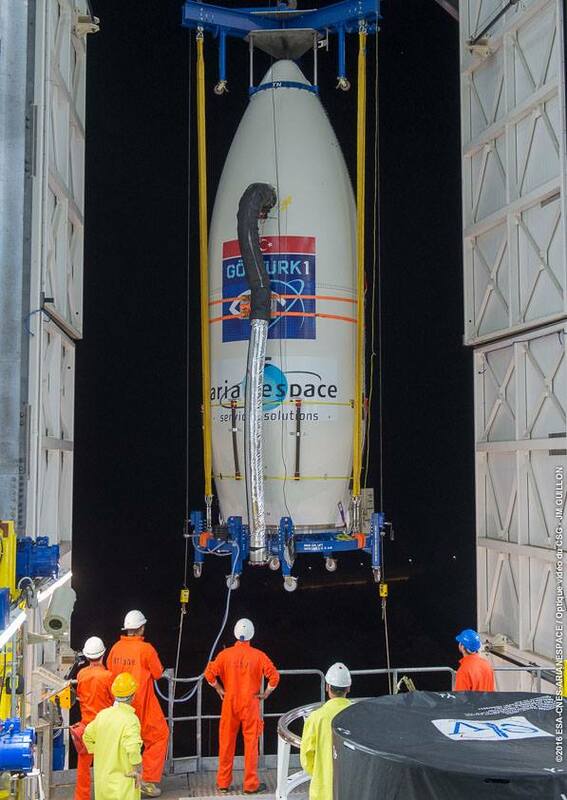 The Gokturk 1 imaging satellite, already enclosed within the Vega rocket’s payload fairing, rolled out of a processing facility and rode on the back of a specially-designed transporter several miles to the Vega launch pad Nov. 22. 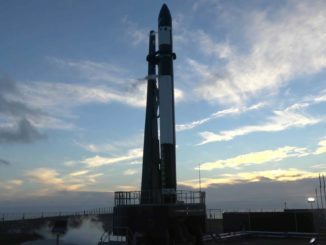 The payload was lifted inside the launch pad’s mobile service gantry, and technicians working inside the movable tower connected the satellite and the Vega’s nose shroud to the top of the booster Nov. 23, topping off the 98-foot-tall (30-meter) rocket. Launch is set for Dec. 5 at 1352 GMT (8:52 a.m. EST; 10:52 a.m. French Guiana time). There is only an instantaneous launch window available each day. With a weight of around 2,200 pounds (1,000 kilograms), Gokturk 1 is heading for a sun-synchronous polar orbit about 423 miles (681 kilometers) above Earth for a seven-year mission collecting high-resolution optical imagery for use by Turkish military and security officials. The Turkish Ministry of National Defense signed a contract for the Gokturk 1 mission in 2009 with Telespazio, an Italian satellite services provider with a specialty in Earth observation. 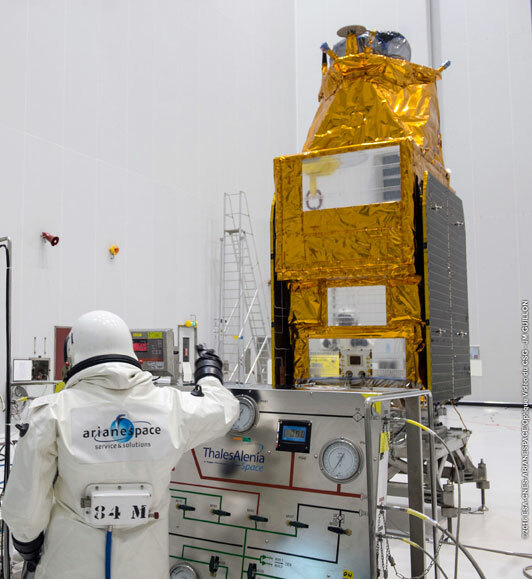 Thales Alenia Space, a segment of Telespazio minority owner Thales Group, manufactured the Gokturk 1 satellite at its plant in Cannes, France. The mission is valued at approximately $300 million. Turkey’s Undersecretariat for Defense Industries said the Gokturk 1 satellite has civilian and military functions. Turkish authorities have not revealed the craft’s exact imaging capabilities, other than disclosing it will collect “sub-meter” imagery, meaning its Thales-supplied optical camera will resolve objects on the ground smaller than about 3 feet across. 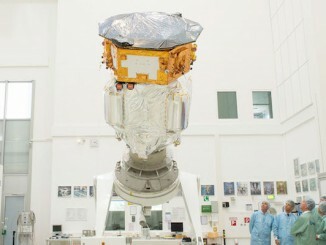 Gokturk 1 is the second military surveillance satellite launched for Turkey. The medium-resolution Gokturk 2 satellite, built domestically in Turkey, launched aboard a Chinese Long March 2D rocket in December 2012. Turkey is designing an all-weather day-and-night radar satellite named Gokturk 3 planned for launch as soon as 2019. Besides its role in building the Gokturk 1 satellite, Thales Alenia Space developed a spacecraft integration and test center in Ankara. Gokturk 1 shipped from Cannes to Ankara last year for environmental testing at the new facility, which is equipped with a mechanical shaker for vibration testing, acoustic and thermal vacuum chambers, and a compact antenna test range. 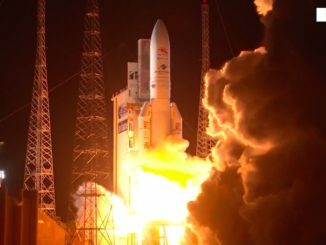 Telespazio selected Arianespace in 2013 to launch Gokturk 1 aboard a Vega rocket, a four-stage booster with production centered in Italy and managed by Avio. The Dec. 5 launch will mark the eighth flight of a Vega rocket since its debut in February 2012, and the second Vega launch this year. 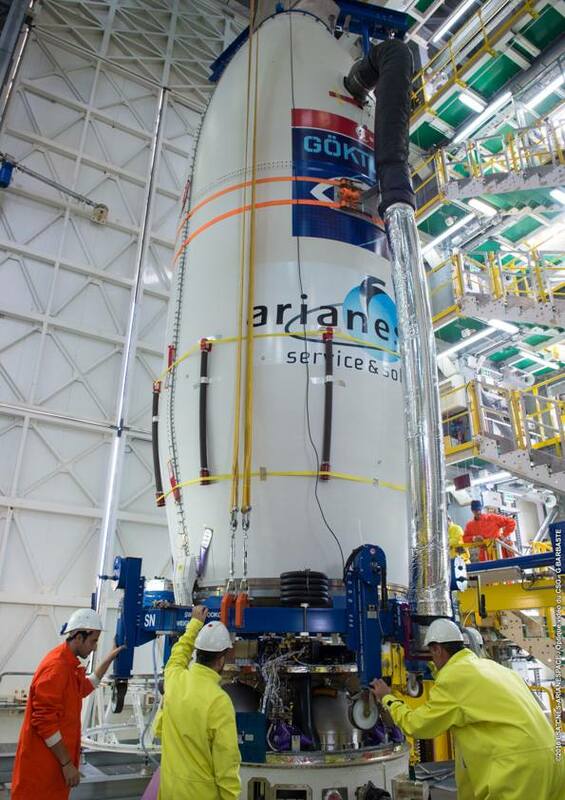 It will be the 10th Arianespace mission of 2016. 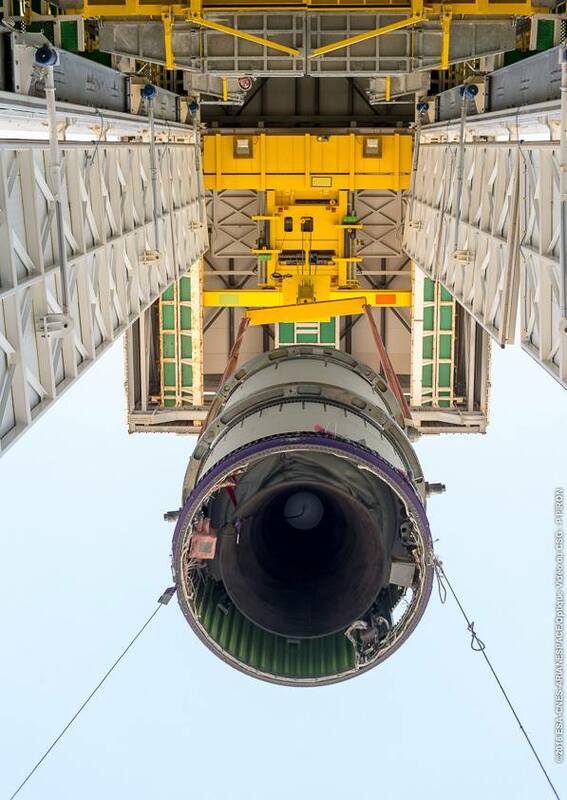 Stacking of the Vega rocket on its launch pad began Oct. 17 with the emplacement of its P80 solid-fueled first stage, about a month after the last Vega rocket blasted off with Peruvian and U.S. Earth observation satellites. The Gokturk 1 satellite arrived in French Guiana aboard an Antonov An-124 transport plane Oct. 24 to begin its launch campaign. The Vega’s solid-fueled Zefiro 23 second stage motor was also added to the top of the P80 first stage Oct. 24, followed by stacking of the Zefiro 9 third stage motor Oct. 27. The rocket’s fourth stage, powered by Ukrainian liquid-fueled engine, was lifted atop the vehicle Oct. 31.